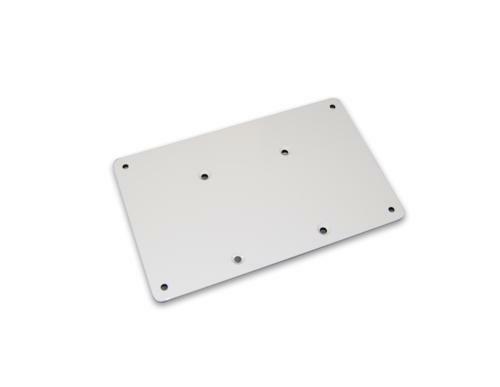 The Raymarine pedestal mounting adapter plate can be used with Raymarine’s Pathfinder, HD and SHD open array pedestals. The adapter plate will allow the pedestal to be mounted from the topsides of the vessel’s radar mounting location. It can be secured to the pedestal without opening it. The plate is white epoxy finish, and materials supplied are 4 M4 Stainless flat head screws with isolation washers, to secure the plate to the pedestal. There are 4 pre-drilled holes in the corners of the plate to secure it to the mounting surface.